Developing an information security program that adheres to the principle of security as a business enabler must be the first step in an enterpriseâs effort to build an effective security program. 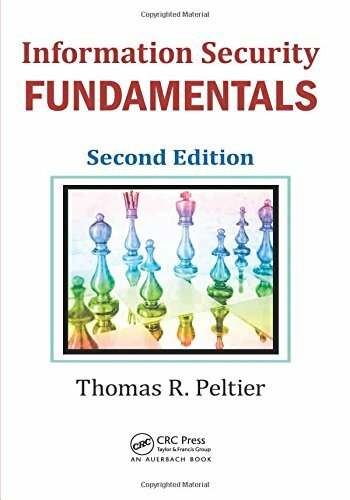 Following in the footsteps of its bestselling predecessor, Information Security Fundamentals, Second Edition provides information security professionals with a clear understanding of the fundamentals of security required to address the range of issues they will experience in the field. The book examines the elements of computer security, employee roles and responsibilities, and common threats. It discusses the legal requirements that impact security policies, including Sarbanes-Oxley, HIPAA, and the Gramm-Leach-Bliley Act. Detailing physical security requirements and controls, this updated edition offers a sample physical security policy and includes a complete list of tasks and objectives that make up an effective information protection program. The book discusses organization-wide policies, their documentation, and legal and business requirements. It explains policy format with a focus on global, topic-specific, and application-specific policies. Following a review of asset classification, it explores access control, the components of physical security, and the foundations and processes of risk analysis and risk management. The text concludes by describing business continuity planning, preventive controls, recovery strategies, and how to conduct a business impact analysis. Each chapter in the book has been written by a different expert to ensure you gain the comprehensive understanding of what it takes to develop an effective information security program. About: Developing an information security program that adheres to the principle of security as a business enabler must be the first step in an enterprise’s effort to build an effective security program.